Behind The Scenes At Absolutely Natural: Lotion, Butter, Creme... what's the deal? And what should I use? Lotion, Butter, Creme... what's the deal? And what should I use? Imagine Baskin Robbins with only vanilla ice cream. Or, Chevrolet only offering only the Camaro. How about Starbucks, with only small-sized coffee, black? Well, for a long time, Absolutely Natural only had one moisturizer, our famous Rosehip Aloe. However, over the last couple of years, we have expanded to include several options, each designed to rehydrate, moisturize and leave skin soft, smooth, healthy and young looking. We have had several inquiries about the difference among these products and which is “best?” That really isn’t the question as all of our moisturizers are built to our exacting standards … they just have different features and benefits. Some have more nutrients, some more anti-aging while others are made for specific parts of the body. Still our number one selling product. The Original Rosehip Aloe has a copious amount of healing aloe making it the ideal summer/sun companion. It also contains Rose Hips Oil, which has been proven in clinical studies to rehydrate the basal cell area (vital to keep skin looking young). We have sold more than 3,000,000 bottles in the last 20 years and is a favorite for tens of thousands of our customers. This light, refreshing, pH balanced product is a powerhouse of nutrients and blended specifically for the face. It contains an Amino Acid Complex that helps even out facial tones and has skin cell building proteins. Also in its arsenal is Co-enzyme Q-10 which is critical in the functioning of skin cells and often decreases within the skin as we age. 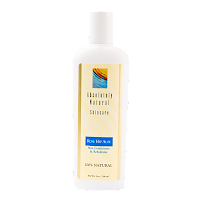 Other ingredients are super hydrators such as Fractionated Coconut and Shea Butter, while Ylang ylang and slight bit of peppermint make this lotion refreshing and nourishing. Our newer spa series products have a rich Organic Aloe base and are loaded with nutrient rich ingredients designed to seal in moisture, smooth texture and leave skin radiant, soft and silky. 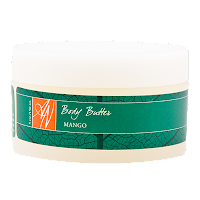 These lotions include Shea and Mango butter as well as the super anti-oxidant, Irish Moss. The antioxidant powerhouse, Green Tea, can help repair skin that is already damaged by age or the elements. One of the featured ingredients, which many may not be familiar with is Superoxide Dismutase, which is a powerful anti-oxidant and anti-inflammatory that helps scavenge free radicals and reduce the appearance of wrinkles. We have made this in three popular fragrances (all either essential oils or essences) including Papaya Pineapple, Cucumber Mint and our famous Rosehips. Beware … many manufacturers offer creams while labeling them as butters. Ours is the real deal. Ultra-rich, providing maximum hydration, our organic and natural butters will quench even the driest skin. These blends include Shea and Aloe butters as well as Coconut, Rice Bran and Sunflower Oils. Green Tea and Vitamin E also provide powerful anti-oxidants. For maximum hydration, our butters are perfect for cracked hands and feet during harsh winters and are a real treat from head to toe. We have made this in three fragrances including Papaya Pineapple, Cucumber Mint and our famous Rosehips. All fragrances are made with pure essential oils or pure essences. Uniquely, this formula consists of 13 equal parts of organic oils are blended into a thick, rich crème. Use as the ultimate face and body lotion loaded with anti-oxidants, free radical scavengers and anti-aging properties. Antioxidants such as Green tea Extract actually help repair skin that is already damaged by age or the elements. Other ingredients such as Borage Seed are preventative and an excellent anti-inflammatory agent. Evening Primrose, Hemp Seed and Red Raspberry are included as well as other carefully selected organic oils, all of which benefit the appearance and texture of your skin. This blend is fragranced with our exclusive blend of 8 essential oils, the smell is indulgent, exotic and earthy with notes of citrus. You can’t go wrong with any of our moisturizing lotions, crèmes and butters. Thousands of our customers enjoy them all. We're certain you will too.